Is breakfast really breakfast without waffles?! 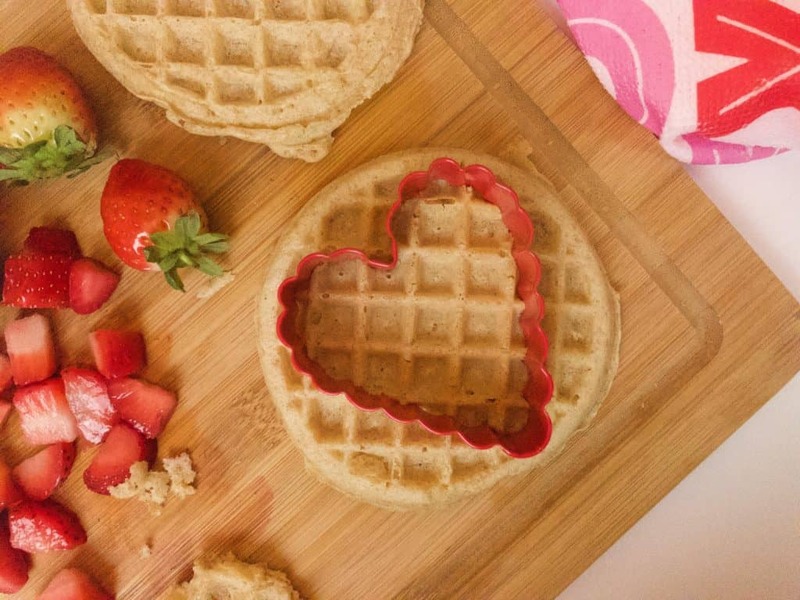 As a Valentine’s Day surprise, I’ll be serving strawberry shortcake waffles! 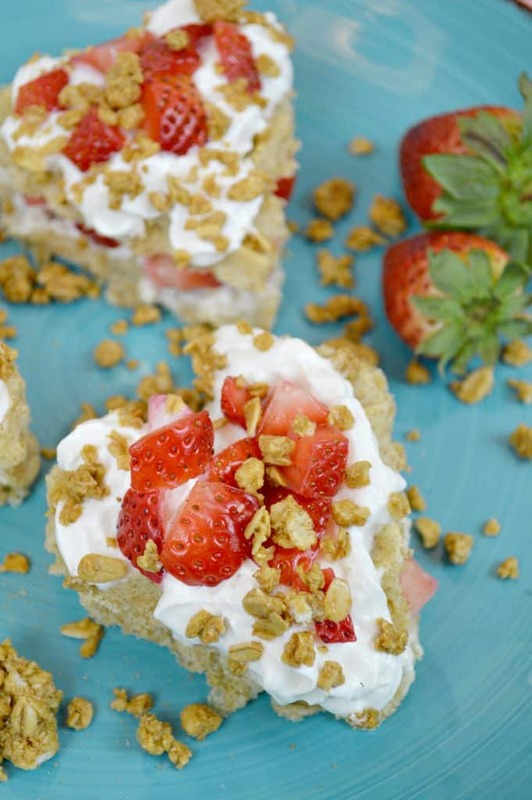 Like I mentioned yesterday, strawberries are in season down here in Florida right now, and since we all love them so much, I try to incorporate them into as much I can into a lot of recipes. Growing up mi abuela would make strawberry shortcakes whenever we’d visit. 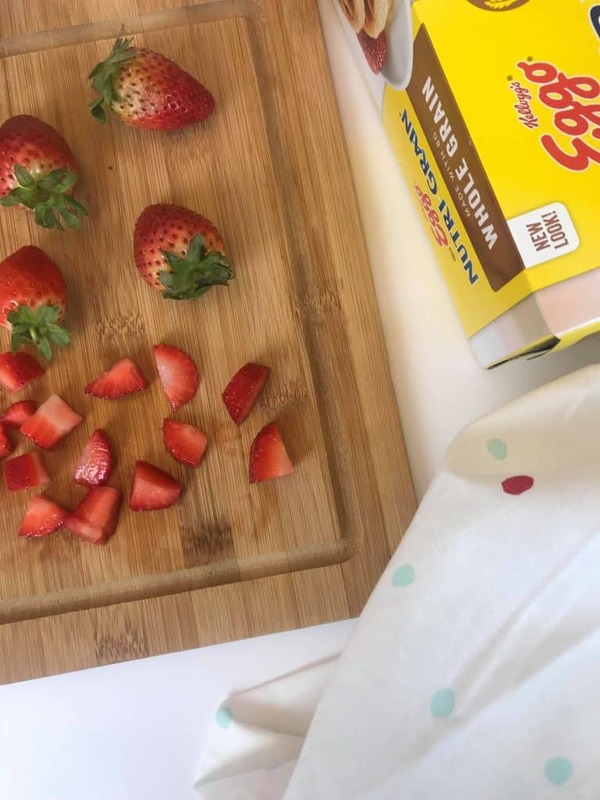 This strawberry shortcake waffle recipe is my breakfast version that can be made in minutes with Kellogg’s® Eggo Nutri-Grain 20 Ct. We LOVE waffles and usually eat them with eggs, but I wanted to sweeten them for these for a special Valentine’s Day breakfast! 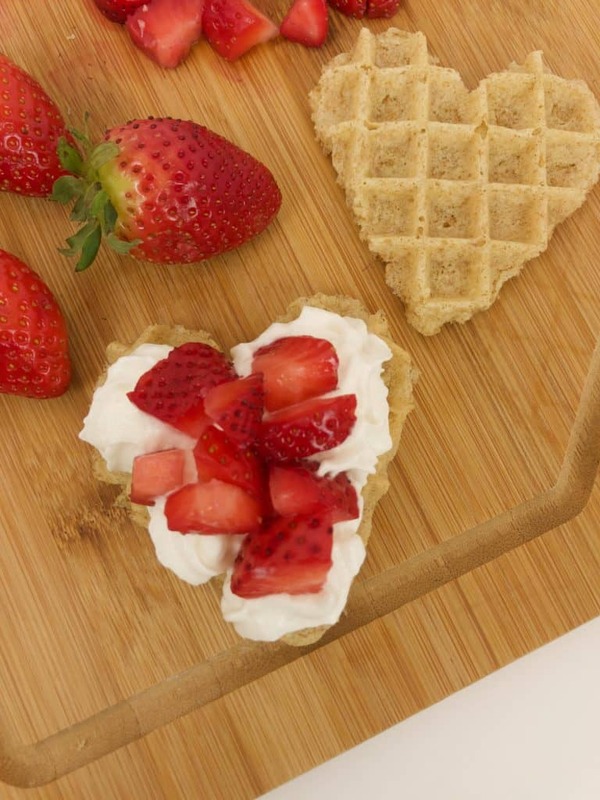 With just three ingredients, I turned our favorite Kellogg’s® Eggo Nutri-Grain 20 Ct. waffles that can be found in the frozen aisle at Walmart (click on image above to shop) into heart shapes, then topped them with juicy strawberries and whipped cream! 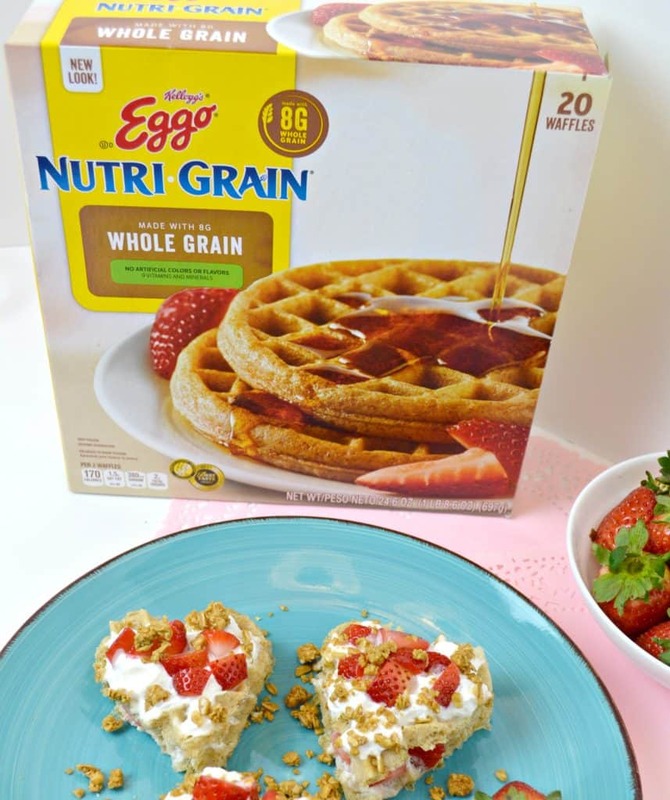 Kellogg’s Eggo Nutri-Grain 20 Ct. have 8 grams of whole grain and provide as an excellent source of fiber! Eggo Waffles have a delicious homemade taste, and they contain no artificial flavors and colors from natural sources! 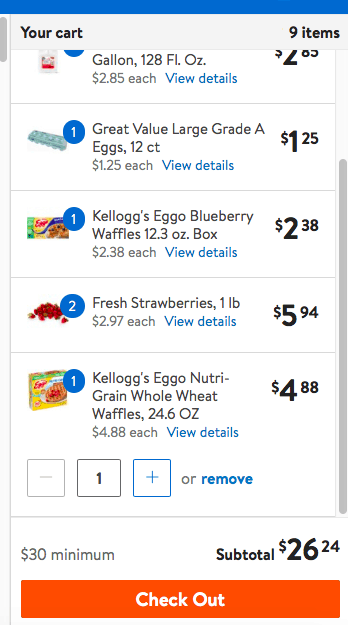 Another favorite of ours is the Kellogg’s® Eggo Nutri-Grain Blueberry 10 Ct. They too can be turned into a Valentine’s Treat! Toast them and top it with ice cream or yogurt and fruit! The possibilities are endless with the filling variety of Eggo Waffles! Toast and cut your waffles into hearts. Top with strawberries and a dollop of whipped cream. Place second heart waffle on top and repeat. 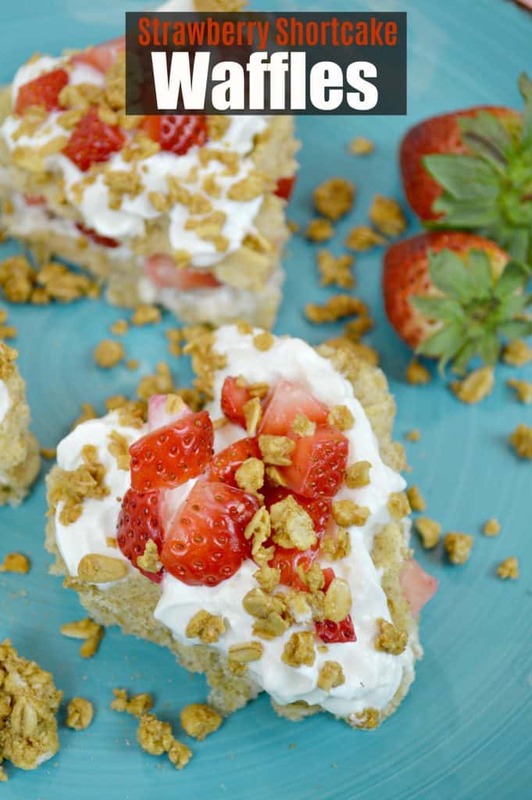 This easy strawberry shortcake recipe is a twist on the classic recipe everyone loves! Customize your strawberry shortcake waffles by adding granola (like I did), sprinkles, fruit, or even chocolate chips!